Director, videojournalist, documentarist and editor. She studied Publicity and Propaganda and did several courses of specialization in cinema and edition. She started her career by directing institutional videos, making offs and music videos. Later she took the direction of programs of MTV Minas (Brazil) for 5 years. I was also the director of 98Live, a multiplatform with 13 hours of live audiovisual content from 2015 to 2017. Currently, she’s part of New York-based Storyhunter global videojournalism company and has several documentaries published on vehicles like Huffington Post and Yahoo ! Formed in the area of marketing and commercial, with extensive experience in management of destinations, both country and abroad. Specializing in the development and implementation of communication campaigns, strategies, projects, programs and products in the field of tourism and gastronomy. Consultant in the strategic plans of development, communications and training of human resources for the hotel industry, services and hospitality. With long experience in the development of traditional competitive strategies, relationship marketing and tourism and experience design. Professional associated at the Association of journalists of tourism of Chile A.G. APTURCHILE. Founder and Director of AMA Communications. Graduated in Chile, United States, Belgium, as a filmmaker, Alejandro complements his training and experience in workshops and seminars. A Chilean leader series “Al sur del Mundo” inspired him to create and design a journey through the history and culture of the people, calling this research and dissemination project “Recomiendo Chile”. Parallel to this work and NGOs, Alejandro has developed series and materials for documentaries and audiovisual material Pedagogy in America, Asia and the Caribbean, under the concepts of sustainability and food autonomy of the communities. In 2017 he was invited as a speaker at the 1st International Ecotourism Film Festival Terres Catalunya in Tortosa, Spain, and in 2018 becomes part of the International Jury of this Festival. He’s main motivations are the sustainable development of communities and tourism development, taking care of the environment and protecting natural resources for future generations. Ali Afshar is an assistant professor at Eqbal Lahoori Institute for Higher Education in Iran. He holds a PhD in architectural studies from University Putra Malaysia. He also completed his master of architecture at the Faculty of Fine Arts, University of Tehran. His researches focus on a substantial amount of investigation in vernacular architecture and tourism studies and their application in scientific and business problems. He demonstrates the feasibility of his ideas by implementing the knowledge of vernacular architecture and integrating it into the architectural design of residential and recreational complexes, mostly in tourism destinations of Iran. He is a member of founding committee and advisory board of Euro-Asia Tourism Studies Association and a founding member of Experimental Research in Architecture, Societies and Innovative Territories international group. PhD candidate (in tourism studies) and Master in business management in the University of Aveiro, Portugal. He has worked in destination management and statistic research in tourism in Brazil, as well as in educational tourism in Spain. Has publications and communications in film-induced tourism, slum tourism, relationship quality, destination management and community-based tourism. Currently working on his PhD thesis, which addresses film-induced tourism and slum tourism. Also, is one of the researchers in the Favourite Destinations Project. Having always been self-taught and an enthusiast in the areas of acting, theater and film, Bruno Manique took it upon himself to restart the previously extinct Figueira da Foz International Film Festival. The festival was originally created in 1972, and took place up until 2002, when it was extinguished. Bruno had a brief participation during the 80’s, which culminated in, as of 2014, the newfound project of bringing the Festival back to life, having then become its Executive and Communication’s Director. In another project that arised in the meantime, the independent film “Por Onde Escapam as Palavras”, he worked as a producer, screenwriter and actor. Later on, he also started taking part in the International Shortcutz Festival as a member of its jury. Now, as new horizons expand and the Center Portugal Film Commission starts to take form, Bruno Manique takes place as its founder and President. Bruno is certified by AFCI University as film commissioner. Caroline is Chair and co-founder of the Sustainable Tourism Partnership Programme (STTP). Its focus is to drive change across the tourism industry thus making it more sustainable. Caroline is deeply entrenched in tourism and is currently a member of various Committees, forums and boards in the Tourism Industry, including the SABS TC228 Committee and Chair of Service Excellence in Tourism. Caroline has been appointed to the FEDHASA (Federated Hospitality Association of Southern Africa) Inland Board. Previously she held positions as president of the National Accommodation Association of South Africa (NAA-SA), Director and Board Member of the Tourism Business Council of South Africa (TBCSA), member of the FEDHASA Large Hotel Group Committee, member of the TGCSA committee, Chairperson of the National Tourism Sector Strategy – Tourism Growth and Development, Chairperson of the Sustainable Development committee for the Regional Tourism Organisation of Southern Africa (RETOSA) and regularly presents training for the STPP on Sustainable Tourism Awareness and Staff Green Training. She has been instrumental in many changes at regulatory level to create an enabling environment for Sustainable Tourism and represents sustainable tourism issues at the parliamentary portfolio committee on a regular basis. Caroline also regularly appears as a guest speaker at various tourism forums country wide. Caroline is passionate about sustainable tourism and is seen in the industry as a leader in driving awareness and implementation amongst small business. Caroline has helped the small tourism sector to move forward and to being recognized as a significant economic contributor with the potential of leading sustainability in tourism. President of the Euro-Asian Tourism Studies Association (EATSA). Che-Jen Su holds a Ph.D. in Business Administration from National Taipei University, Taiwan. Professor Su’s international titles include President of the Asian Jury (Art&Tur Festival, 2014/2015), Vice President of the Euro-Asian Tourism Studies Association, Professor of Hanyang University (Seoul, South Korea), Chair Researcher of Morishita Memorial & Research Foundation (Kyoto, Japan), Fulbright Senior Researcher of the State University of New York (Old Westbury, NY, USA), Visiting Scholar of the University of Burgundy (Dijon, France), of Wakayama University (Wakayama, Japan), of Korea Culture Institute (Seoul, South Korea), and of the City University of Hong Kong (Hong Kong, China). Degree in Cultural Animation and Communitary Education from the Polytechnic Institute of Santarem (1999-2004), Master in Sociopsychology of Health from the Superior Institute Miguel Torga, Coimbra (2007-2009) and a PhD in Tourism from the University of Sevilha (2005). She has worked as a Formation Teacher of the Adult Education and Formation (EFA), technological component (2008); as a Technical Teacher specialized in Professional Courses (Sociocultural Animation, Ambiental and Rural Tourism, Childhood and Psychosocial Support) (2010-2018); she was Assistant Teacher at the Polytechnic Institute of Leiria, courses of Degree in Social Service, Touristic Animation and Events Management; CET of Social Service and Communitary Development and Management of Tourist Animation; TESP of Adventure and Nature Animation and Tourism (2010); she also played producer of the amateur theatre group “+Teatro” in partnership with the City Hall of Rio Maior (2014); and she was a jury member of the Talents Contest “RM Talents”, integrated in the Youth Week of Rio Maior (2016). Filmmaker based in the Philippines. His recent work, a tourism film “Tubbataha: A National Treasure,” competed and won in numerous film festivals across the globe. His career started with video editing for a local boutique production house. This paved the way for him to explore and master videography, photography, motion graphics and color grading, all of which ultimately led to directing. His oeuvre includes an eclectic mix of documentary-style brand films, tourism films, celebrity / lifestyle features, motion graphics explainer videos, and corporate films. Currently, he is an in-house director in Bullet Manila, an internationally-renowned production house in the Philippines. Director, screenwriter, photographer and audiovisual producer. He began his professional career in 1996 and since then has directed and produced short, medium and long films between fiction, documentaries and TV series. His most recent works are documentaries “Olhos d’Água – From the Magic Lantern to the Cinematographo”, “Carimbó”, “Nação do Futebol” and “Rituais e Festas de Quilombo”. He has produced programs and documentaries for TV and internet in Brazil and Europe, such as Strade d’Acqua (CineParallelli), Brazil For Beginners (Zodiak Entertainment), Loucos por Jazz (RMTV) and Meu Brasil Não Tem Preço (Mastercard). He wrote, photographed and edited different audiovisual contents for internet, like teasers, trailers, videocasts and minidocs. He has carried out socio-educational projects using cinema as a tool for social transformation for young people from the periphery of Belém and other cities in the interior of Pará. He is the founder and coordinator of the “Mostra de Cinema da Amazônia”, a project that since 2005 has already covered 5 countries, 20 cities, exhibited 180 films and promoted more than 150 hours of meetings and debates between film professionals and the most diverse audiences. For ten years, he coordinates the audiovisual productions of the “Sabor Selvagem” project, including a documentary series on gastronomy and Amazonian culture. He is currently president and project coordinator of the Instituto Cultural Amazônia Brasil and director of Mekaron Filmes. Professor at the Management School of Tomar (ESGT). Polytechnic Institute of Tomar (IPT). Advanced Training Course in Tourism. Department of Economics, Management, Industrial Engineering and Tourism. University of Aveiro. PhD in Anthropology. Specialization in Politics and Images of Culture and Museology. Faculty of Social Sciences and Humanities. New University of Lisbon. MSc in Heritage and Museology. Faculty of Social Sciences and Humanities. New University of Lisbon. Researcher at the Network Research Center in Anthropology (CRIA-FCSH – UNL). Researcher at the GOVCOPP University of Aveiro – Research Unit in Governance, Competitiveness and Public Policies. Research areas include: tourism, cultural tourism, anthropology; heritage, museology and event management. Cine-Video at António Arroio Arts School. He has also studied Creative Industries and Cultural Entrepreneurship at AUDAX / INDEG and NeuroMarketing at ISG / SalesBrain. Has worked as Photographer and Director in, Cinema, Corporate, Music, Arts and Education, developing Short-Film, Institutional, Promotional, Events and Gastronomy videos and photography. Was an awarded winner for two consecutive years, 2012 and 2013, at the International Tourism Film Festival, Art&Tur, as Director and Producer of two Gastronomical videos from the concept project called Videlicious, focused on the promotion of Restaurants at the Hotel Industry. Professor of Cinema at the Universidade Lusófona in DF, camera and multi-camera direction. He was a professor of audiovisuals at Faculty of Fine Arts in Lisbon. He is an academic at the National Academy of Fine Arts and the Academy of Arts and Letters of Portugal. He was an audiovisual instructor at NBAcademia, Shame and Cinemalogia at the University of Coimbra. Producer and director at Faço Filmes. He is film commissioner of Alentejo and Ribatejo. Jury of several film festivals. Director of the UNESCO Center for Image, Sound and Creativity. Graduate in Cinema by ECA-USP, São Paulo. Doctorate in Communication Sciences at the Universidade Lusófona. João Vasconcelos is a geographer passionate about photography. He holds a Master degree on Land Management and Environmental Planning and a PhD on Environment. He is currently an Assistant Professor at the School of Tourism and Maritime Technology – Institute Polytechnic of Leiria where he was the head Coordinator of the Tourism Research Group (GITUR) from the Polytechnic Institute of Leiria from 2013-2016. He was Executive-director of the European Journal of Tourism, Hospitality and Recreation. 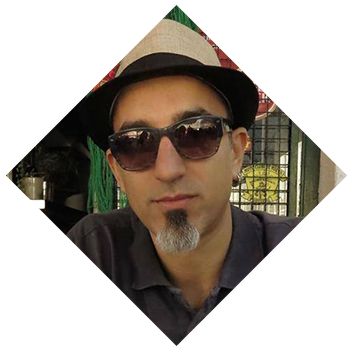 João is currently a full researcher from the Center for Geographical Studies of the Institute of Geography and Spatial Planning of the University of Lisbon (CEG/IGOT). PhD in Tourism Management from the University of Vigo, Spain. PhD thesis in tourism destination image. Professor at Lusófona University in Porto, in Licentiate and Master degrees in Tourism and Management. Professor at ESACT- IPP, Bragança, in Licentiate degree in Tourism, and Master degree in Tourism Marketing. Professor at UTAD – University of Trás-os-Montes, Vila Real, in Licenciate degree in Tourism and in Master degree Marketing of wines. Member of the Research Unit CEPESE, Porto. Co-principal researcher responsible of Favourite Destinations project of the Euro-Asian Tourism Studies Association. Has publications and communications in marketing destinations, brand-equity tourism destinations, impact of induced image on tourism destination, tourism destination imagery, film-induced tourism, language of tourism in promotional videos and management tourism. The Director of the International Tourism Film Festival “Tourfilm Riga” (member of CIFFT) (2008-2019). A graduate of Latvian University, started her career as an editor at the Publishing house „Latvian Encyclopaedia”. Then joined the Latvian Chamber of Commerce and Industry as a Business Promotion Manager. In 2004, started to work at the Riga City Council as the Director of Riga Tourism Coordination and Information Centre. For 7 years, the Centre was responsible for the tourism development in the city of Riga. Later, she joined the Foreign Affairs Office of the Riga City Council. In 2008, organized the first International Tourism Film Festival “Tourfilm Riga” supported by the Riga City Council. This year is the Festival’s 12th edition. In previous years she was a Jury member of the following festivals: “Deauville Green Awards”, “Zagreb Tourfilm Festival”, “ART&TUR – International Tourism Film Festival”, “Tourfilm Karlovy Vary”. In 2019 is Jury member of “Istanbul International Tourism Film Festival” and “Terres Travel Festival – Films and Creativity”. Documentary filmmaker, Consultant and Producer. Graduate in Audiovisual Communication from Pompeu Fabra University (2001). Student of the Master’s in Communication Management at the BSM-UPF (2018-2019). European graduate in documentary production through the Eurodoc training program (2016). He is a founding member and manager of Filmsnòmades, an audiovisual production company that, since 2008, has produced several Awarded television reports, creative documentaries and advertising spots. He has played an important role in the execution of Terres Travel Festival – Films & Creativity (Tortosa, Spain), member of CIFFT (International Committee of Tourism Film Festivals) since 2019. Since October 2016, he leads the communication consultancy PVS Media, specializing in communicative support to tourism companies. Award-winning filmmaker from India, known for his critically acclaimed documentary and short films like Dreadful Fate, I am Satyabhama and Welcome to Telangana. From humble beginnings, growing up in a small town called Mancherial, in Telangana state of India, he received the prestigious US Department of State’s CCIP fellowship in 2011 to study Motion Picture Directing at Scottsdale School of Film and Theatre, Arizona, USA. He has also been a delegate and panelist in various international conferences and film festivals in USA, Canada, Pakistan and Iran. He has been representing the Government of Telangana to promote state film tourism at various international film markets and festivals in Cannes, Toronto, Dubai and Goa. Spomenka Saraga is Zagreb Tourfilm Festival´s director, a festival seated in Croatia´s capital. Photographer, filmmaker, travel journalist and an avid adventurer, Spomenka travels to the most exotic corners of the world. Her film experience, gained in the famous Jadran Film Studio – referred to at that time as European Hollywood – was won through holding highly responsible financial and production posts and making films together with famous directors, actors and other producers. After that she founded her own company, BALDUČI FILM, producing many successful documentaries, feature and tourism promotional films. Spomenka has been awarded numerous prizes in Croatian and International Film Festivals and is a Member of the Croatian Association of Film Workers and the Croatian Producers Association. Zagreb Tourfilm Festival is run in close cooperation with Zagreb Tourist Board, promoting the city´s importance in Tourism. During the festival, tours presenting Zagreb cultural heritage and traditions are always conducted, as well as showing the tourism potential of the whole of Croatia. These issues are also analyzed at interesting conferences during the festival, as Spomenka Saraga proudly exposes to participants and visitors representing countries from far corners of the world. Swen is a tourism management lecturer at the University of Applied Sciences Inholland in Amsterdam, where he teaches on sustainability, ethics, policy and research methods, besides running tourism research projects. Previously he taught at the university of Manabí, Ecuador, where he also investigated sustainable tourism development and politics. Furthermore, he has been involved in tourism research in Kenya, Gabon and Nicaragua. Swen holds a master of science degree in Leisure, Tourism and Environment from Wageningen University, the Netherlands. In 2017 he was president of the jury for the Terres Catalunya International Eco & Tourism Film Festival in Tortosa, Spain. Unsurprisingly, his main interests are sustainability and the future of tourism and he believes film plays a very important role in the diffusion of the sustainability movement, which is going to change not only the way we travel, but how we live at large! Associate Professor at the Faculty of Tourism, Wakayama University. He was born in Nishijin District of Kyoto, which is known as a district of Japanese filmmaking. After graduating Kyoto Institute of Technology, he explored several countries, Sri Lanka, China and USA as an architect and studied urban morphology at University College London. After coming back to Japan, he has carried out researches how distill narrative stories from local cities; and, has written screenplays on Rakugo and short films. He made several short films as a producer and a director. Currently, he manages film festivals, Fukui Short Film Festival and Japan World’s Tourism Film Festival as a general director. Yanki Hartijasti is affiliated with the Department of Management, Faculty of Economics and Business Universitas Indonesia. She earned her MBA degree from the University of the Philippines. She also obtained Master of Science and Doctor in Industrial and Organizational Psychology from Universitas Indonesia. After gaining 15 years of professional experiences in various industries as an HR practitioner, she then decided to take the plunge into the academic world. She has been invited to share her knowledge and disseminate her research findings as a visiting professor, keynote speaker, and panelist in Japan, South Korea, Philippines, Pakistan, Sri Lanka and Poland. She is also active as a member of peer-reviewed academic journal in different countries. Yanki is a vigorous member of various international conference associations aligned with her research and publications which focus on leadership, learning, and cultural values, as well as cyber behavior among multi-generational workforce and travelers.